A dilution solution contains solute (or stock solution) and a solvent (called diluent). These two components proportionally combine to create a dilution. You can identify a dilution solution by the amount of solute in the total volume, expressed as a proportion. For example, a chemical may be prepared in a 1:10 dilution of alcohol, indicating that a 10 mL bottle contains one milliliter of chemical and nine milliliters of alcohol. You can calculate the necessary volume of each component to prepare a dilution solution. Write down the desired final volume of the solution--for example, 30 mL. Write down the desired dilution in the form of a proportion--for example, 1:20 dilution, also known as the dilution factor. Convert the dilution factor to a fraction with the first number as the numerator and the second number as the denominator. For example, a 1:20 dilution converts to a 1/20 dilution factor. Multiply the final desired volume by the dilution factor to determine the needed volume of the stock solution. In our example, 30 mL x 1 ÷ 20 = 1.5 mL of stock solution. Subtract this figure from the final desired volume to calculate the volume of diluent required--for example, 30 mL - 1.5 mL = 28.5 mL. Measure the amount of stock solution required -- in our example, 1.5 mL -- and dispense this into a large measuring cup. 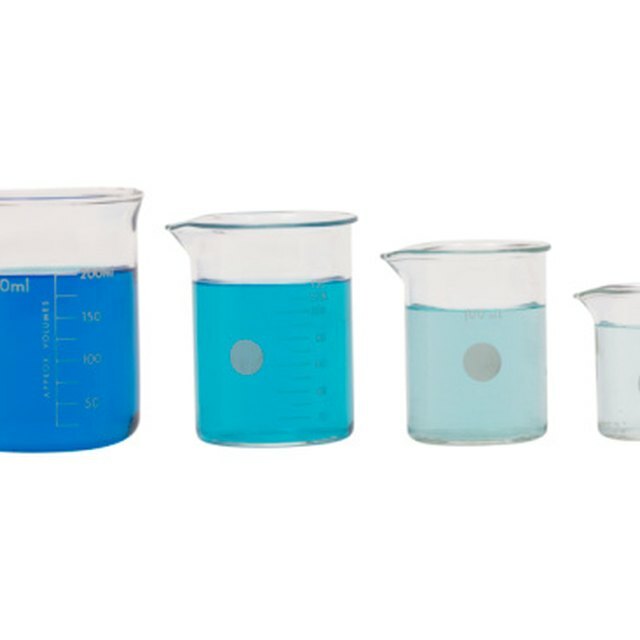 Measure the amount of diluent required -- in our example, 28.5 mL -- and dispense this into the large measuring cup. Mix the solution with the glass stirring rod. You now have your 1:20 dilution solution. Edwards, Regina. "How to Calculate Dilution Solutions." Sciencing, https://sciencing.com/calculate-dilution-solutions-5962556.html. 27 April 2018.